Buying a house should not be an an impulse action. For some people, it requires a road map to fulfill all 5 requirements. One of them is cash and here are 8 ways to come up with cash for a down payment on your new house. avalanche method, you prioritize your debts and pay the most on the one with the highest interest rate. Once that's paid, shift your focus on the next highest rate and so on. You will get the most money money sucking credit-card bills out of the way more quickly and freeing up more of your income to go toward building your savings. 2. Open a ladder CDs to boost savings. Once you have a few extra bucks, put it to work making more money for you. Certificates of deposit are low-risk and relatively accessible. You can maximize the earning power of CDs by opening different certificates at varying maturity dates. For example, instead of buying one big CD, spread your money into 3-month, 6-month, and 12-months certificates. This gives you flexibility to adjust your savings as rates change. Laddering allows you to lock in when rates are high and when rates are not so good. The process keeps you from being stuck for too long with low earnings. 3. Use special programs such as a down payment assistance program (DPAP). Fannie Mae and Freddie Mac may have access to special programs for you and assistance from state agencies as well. 4. Tap your IRA or 401K. The tax laws allow you to use up to $10,000/person in IRA funds as a down payment f you have never owned a house (defined as someone who never bought a property in the last 2 years before the purchase of the new home. IRS waived the penalty for early withdrawal but you may owe tax on the money depending on the type or IRA. 5. Get a gift. Tax law allows gifts of several thousand dollars a year to be bestowed without tax consequences to either the giver or recipient. The gift exclusion is $15,000 for 2018 and is adjusted annually for inflation. The gift exclusion isn't limited to relatives. The monetary present can be from anyone so track down a well-off friend now and I will assist with your Gift Letter. 6. Ask your boss for a raise. Do your homework and request for a salary increase on your accomplishments rather than your needs. That's what I call a win-win approach. 7. Get a second job. Moonlighting could earn you the extra money. This option makes the most sense for those who are young and not yet fully established in their professional lives. Please be advised that for income to be counted for loan qualification, we require 2 years employment history (full time or moonlighting). 8. Sell unwanted items. Perhaps you have some used furniture you no longer use or old clothes that are no longer in style. You can sell your items on sites like Craigslist, eBay, Facebook and Amazon to turn your trash into some-else treasure. Please make sure you documents all the deposits into your account. You can even use Bitcoins as long as you can document it's source. The general rule is that money in 401(K) plans stays there until retirement but the IRS allows "Hardship withdrawals" such as purchase of your primary residence. You can borrow against the account (assuming your employer permits this). You pay interest on the loan but the interest goes back into your account as an offset to the earnings forego. The money is non taxable as long as you pay it back. 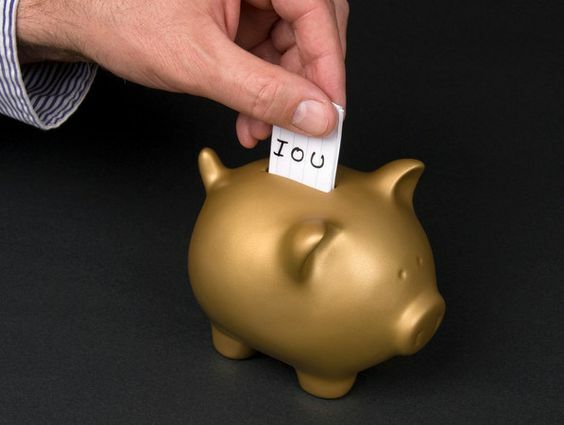 The cost of borrowing against the 401(K) plan is most likely lower than the alternatives. Most employers leave it to borrowers to formulate their own repayment plan. Should employment is terminated - the loan must be paid back within 60 days or it is treated as a withdrawal and is subject to penalties on withdrawals.